A month or so ago I was craving a winter cabin experience deep in the woods and away from everyday modern life. It was a beckoning. Maybe you’ve had this feeling before. This feeling of ‘I gotta go’. It was wilderness calling. I surfed the net, talked to locals, racked my brain and came up with Bryant Cabin in Mt. Mansfield State Forest in Vermont. Luckily, there was a night open that could work for me. With much excitement, I booked the night and invited some friends, keeping my fingers crossed that someone could join. I figured heck, if nobody could make it, I would spend the time solo in the woods. 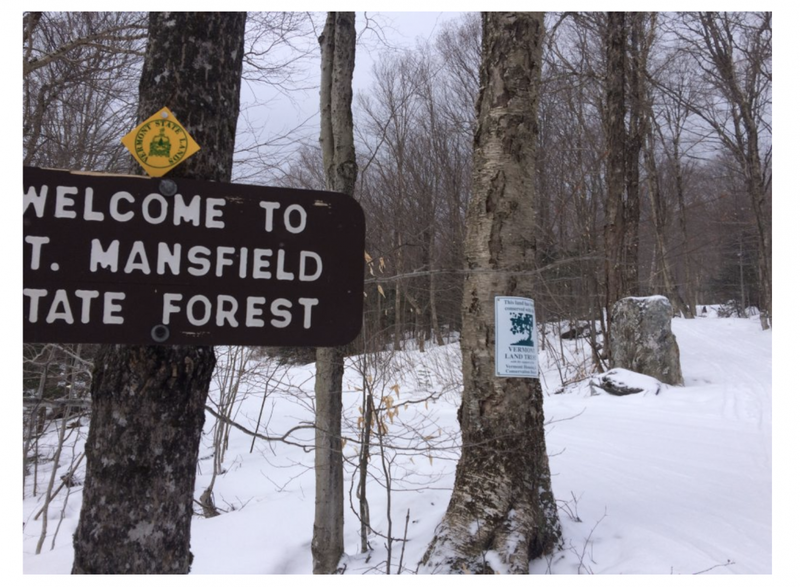 Some of my friends did end up being able to peel off from their routines and it was all good to go: A cabin stay in the cold Vermont wilderness. Just how cold it was going to be, I had no idea. It was beautiful out there. 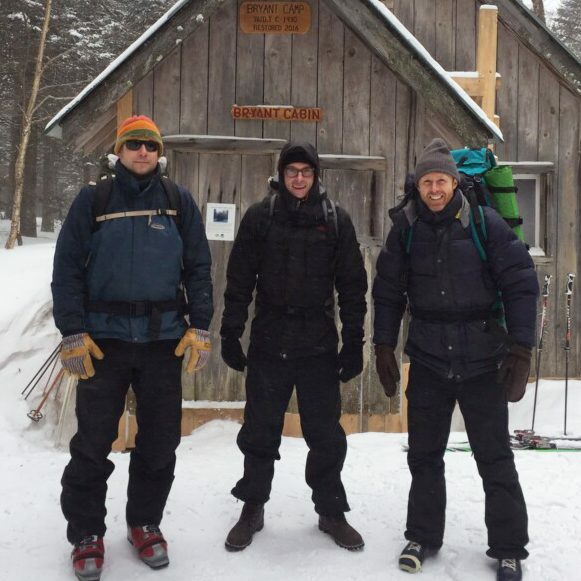 After about a 30 minute nordic ski in from the Bolton lot, there it was, Bryant Cabin. There was a special kind of silence and stillness in those woods surrounding the cabin. The temperature continued to drop approaching zero. We jabbed our skis into the snow and went in to settle and start the stove we were to later nickname, “The Beast”. Entering the cabin reminded me of that feeling I had when I was a kid in a tree house: A private place all to myself away from the “real world”. Our first priority was to get that stove lit and fired up enough before we would set out into the arctic cold for a ski on the Birch Loop Trail. Unfortunately for us, “The Beast” required constant attention so while we were all out, the embers died. We set off to ski and explore the unfamiliar territory. It was a forest comprised mostly of birches and pines with some stands having avoided past logging efforts- thanks to Edward S. Bryant, forester, surveyor and conservationist. The cold invited a sense of invigoration and a frozen timeless peace at the same time. It was sure good to be moving, our hearts pushing warm blood though our bodies. It was exhilarating. We glided through the glades which opened up to offer awe inspiring vistas along the way as a light gentle snow began to fall with the setting sun. The weather system began to transition rapidly into colder temps hovering at 0 degrees with a heavier snow fall and higher winds. It was getting dark. After a couple hours of exploring the forest we headed in to hunker down for dinner, libations and feeding the stove with frozen logs of wood which would not fully put out the kelvins we truly needed. Later that night we retuned to the loop for a night ski to warm our bodies and to find our earlier tracks submerged in fresh powder. It was amazing. Only after that ski, a late night marinated steak cooked by Dave (Bravo! ), and more shenanigans in the cabin were we then ready for a slumber. The next morning we awoke with the stove still generating some heat thanks to Doug who split manageable kindling bits for burning and to Shawn who kept feeding “The Beast”. I cooked up some eggs and coffee to greet the sub zero day as we then packed up, restocked the wood, cleaned up and skied down to our car machines. The sub zero ski out was mostly downhill which if you’ve ever been on nordic skis, is a true feat. The time in that forest will forever be part of me and in my memory. It was a time of joy, adventure, challenge and wonder with moments of being in “survival mode” in sub zero temps. I formed a special relationship to that land, to the fellas who I trekked in with and I look forward to going back. I have become a member of the Vermont Land Trust which conserves land and also helped with the restoration of the cabin. The relationship between me and nature has deepened and man, what a wonderful relationship it is to be in. To warm your hands, swing your arms around rapidly like a windmill. The hot blood will rush to your hands and about a minute later, they’ll get warm. Wear wool and Down. Wool keeps the heat, even when wet. Down Jackets are the bomb. Geese know what’s up. Cold Feet? Darn Tough socks from Vermont. Eat. Consuming more calories than you’re burning will help you handle the brrrr. Wear the right base layer/first layer. Merino wool, synthetics (nylon, polypropylene, spandex or rayon) or silk. No cotton! Change your state of mind and believe that it isn’t that cold out. See Win Hof Method. If you’re wearing a Camel Pak, blow air into the tube after each sip so the water doesn’t freeze. Forget about melting snow for drinking water. Pack in the h2O in when you can. Wear a hat. A ton of heat from your body leaves through your melon. So cap it! Sleep in a winter rated sleeping bag. 10 degrees and lower. Sleep in a proper shelter. Four season tent, snow shelter or cabin. Wood stove is preferable. If your logs are frozen with water, chop them in kindling bits and keep near stove for thawing. Fill your Nalgene with hot water and sleep with it. Keep exposed skin covered as much as possible and watch for frostbite white spots. The fastest way to raise your body temp is internally so drink warm and hot liquids. Cold air settles into valleys and the ravines so situate yourself appropriately just uphill. $75/night or $95 on the wknds. About 1 mile in. 30 minutes to 1 hour. 1PM check in, 12PM check out next day. 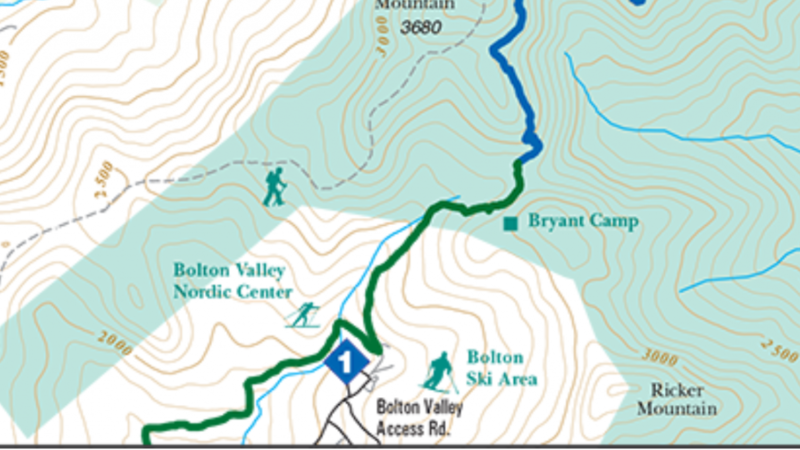 Required to have Bolton Nordic passes for recreational trail usage but if you arrive after 2PM they will give you a comp for the day. Subscribe to our Newsletter and be the first to be notified about ways you can deepen your connection to Nature!